I guess I’m even a worse blogger when I don’t have classes. My last day of classes for the semester was sometime two weeks ago, and I had exams all through that week. I began interning at a company in Admiralty afterwards and I pretty much laze about and pass out right after work. I had to put in my calendar “Put up blog post” today just so I didn’t forget to do so. Anyways, this post isn’t about my internship (maybe that will come later), but it’s about some of the weird/unusual stuff I’ve eaten during my stay here in Hong Kong. If you know me even the slightest bit, you should at least know that I am one of the pickiest and weirdest of eaters, starting with the facts that I don’t eat cheese except on pizzas, and I don’t drink milk unless in cereal. Naturally, I’m not one to try new foods, and I usually stick with the same orders, flavours, textures, and toppings. This is also because I have a very high gag reflex, but this is leaning towards too much information. Recently, I’ve been a lot more open to trying new things. I mean, I AM in CHINA and would be missing out on a lot if I didn’t. By the way, did I mention how I don’t drink tea, but decided to study abroad in the one place where tea is so widely served and abundant it’s used to clean/sterilize eating utensils?! I have to pay to get a glass of cold water but tea is FREE. Okay, I’ m going off point again. 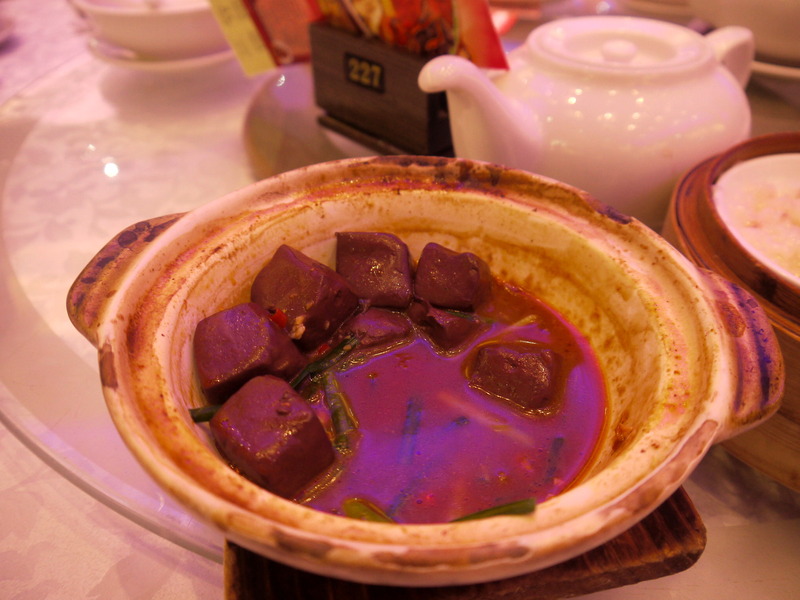 Here are the few photos of some of the funny/weird things I’ve eaten during my stay here. I wish I had taken more pictures earlier! Some sort of Bird’s Nest creamy milk. 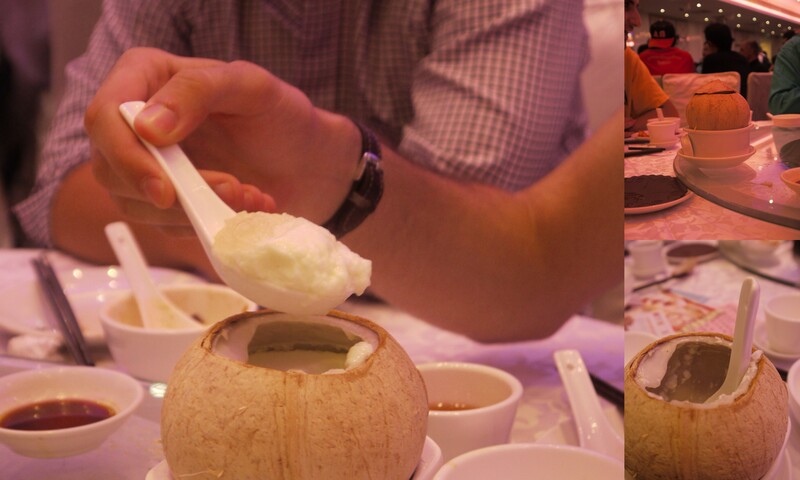 This is a sweet dessert I had in a Dim Sum resto, and although I dislike milk, I decided to try this. It had a not-so-smooth texture and I concluded that I would love it if I liked milk and Greek/chunky yogurt. Ox Tongue. This was a tricky one. It was seasoned to perfection but I couldn’t get over the fact that I was eating an ox’s tongue! It also didn’t help matters that one of my co-workers said to me, “You know you like it, it’s just like french-kissing a yummy ox.” Like french-kissing oxen is a normal thing. I don’t know, it tasted (texture-wise) like what you’d think a tongue would taste/feel like. Well, that’s all for now. I’m going to try more new things and keep this post updated! 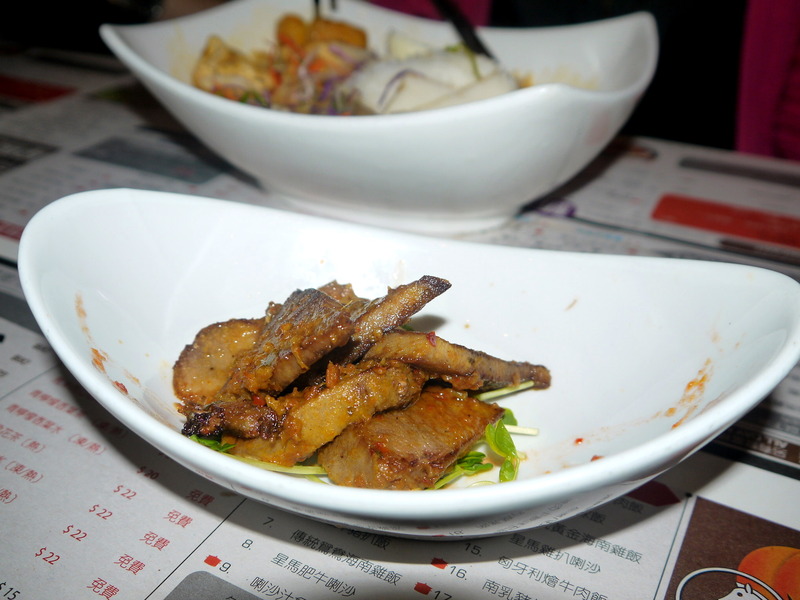 This entry was posted in Food, Fun, Hong Kong, Uncategorized. Bookmark the permalink.